Decolonial Gestures | A Symposium on Indigenous Performance is an interdisciplinary, intergenerational, and intertribal symposium intended to both present and stimulate contemporary Indigenous expressive forms. Taking cue from the recent theoretical unfolding of decoloniality, the symposium will both enact and examine decolonial praxis, which resists the perceptual and discursive strictures of colonial matrices of power. 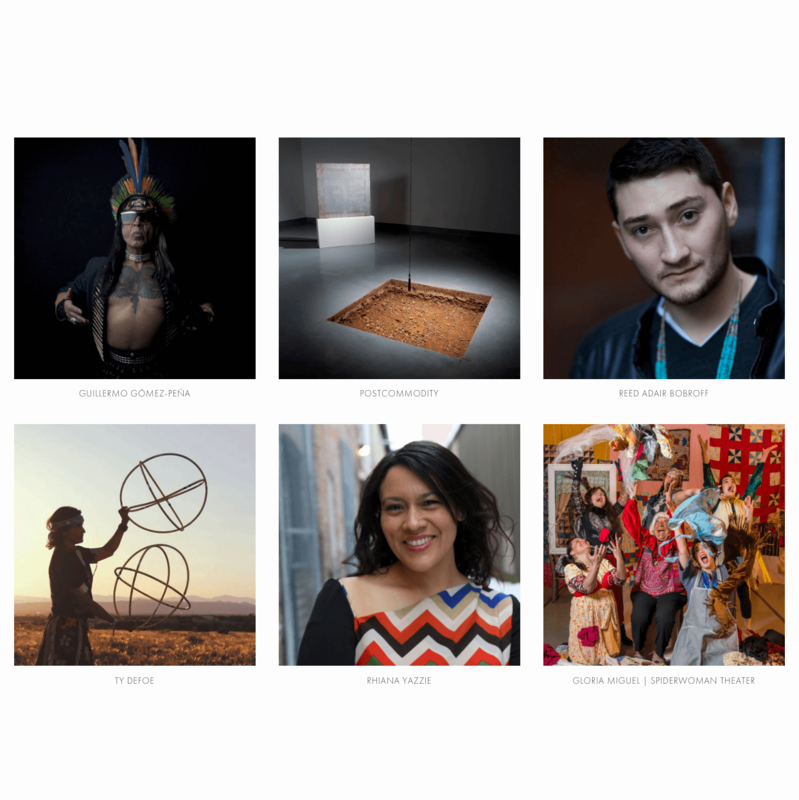 The events serve as a public forum for the presentation of contemporary Native art and the transmission of Indigenous knowledges across generations, while engaging multiple diverse communities of New Mexico. Bringing together both established and emerging artists, the symposium marks a historical trajectory of Indigenous performance and explores new directions in Native art. For up-to-date and detailed information, see Decolonial Gestures | A Symposium on Indigenous Performance. Decolonial Gestures | A Symposium on Indigenous Performance is made possible through a generous grant from the UNM Center for Regional Studies and also the support of the UNM Department of Theatre and Dance. The symposium is curated by Dominika Laster and developed in collaboration with the IAIA Museum of Contemporary Native Arts (MoCNA), Tricklock Company, New Mexico Museum of Art, and UNM Art Museum.